'Midsommar' will arrive this "sommar"
Last year, Ari Aster broke into the horror scene with his remarkably terrifying debut Hereditary (a film that was one of our best of 2018). Naturally, we can't wait to see what he does next. Today we get our first (tiny) taste. Aster's next film is called Midsommar and stars Jack Reynor and Florence Pugh as a couple who are travelling through Sweden to attend a rural mid-summer festival. Instead, they fall prey to a pagan cult. We don't get much of that from the first teaser for the film, although the promotional animation is still decidedly unnerving. Watch the brief teaser for the film below. 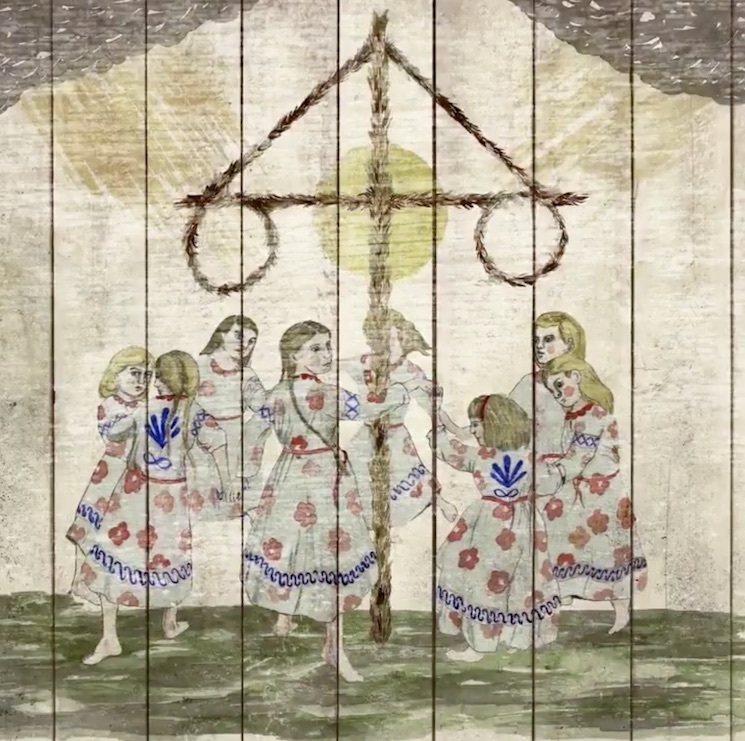 Midsommar will arrive in August via A24.